Ah cauliflower….you’re such an unassumingly delicious vegetable. From cauliflower pizzas, crackers and rice there are so many interesting ways you can transform this dull yet healthful vegetable into something amazingly moorish. One of my favourite ways to eat cauliflower is to roast it. 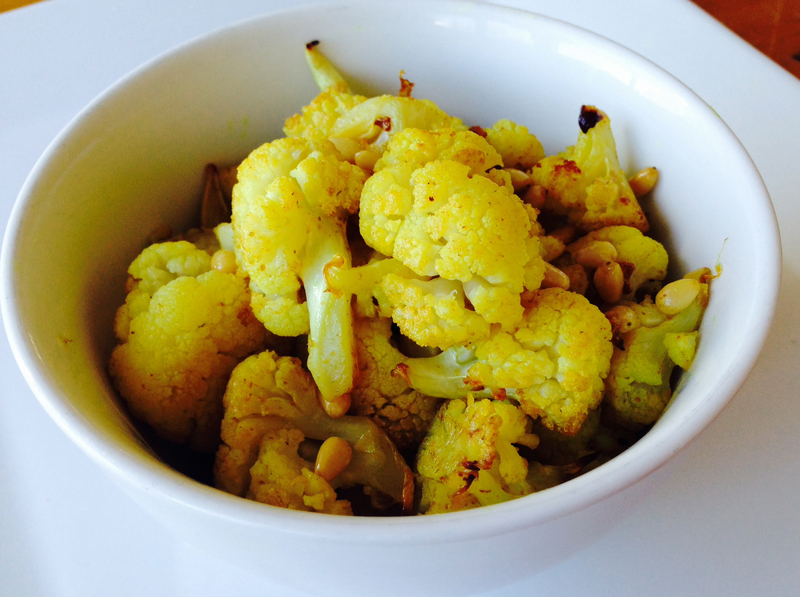 Roasted cauliflower is quick, simple and nutritious. Cut the cauliflower into florets, douse it in your fat of choice and flavour it with whatever your creative heart desires. It will turn out sweet with slightly crunchy tops….Yum! I’m trying to introduce more spice into the girls diets. After roasting, I add a handful of lightly toasted pine nuts and voila! I have a bowl of snackable pop cauli that we can nosh on during our afternoon garden sessions . What could be more simple and nourishing? spread pine nuts onto a baking dish and bake until golden brown approximately 5mins. Set aside. Cut cauliflower into small bite sized florets and spread evenly on a baking dish. Add ghee to baking dish and transfer cauliflower to the oven for a few minutes to melt the ghee. Remove from the oven and sprinkle cauliflower with spices and salt. Toss to combine. Cook for approximately 30min tossing every now and then until the tops of the cauliflower are golden brown. 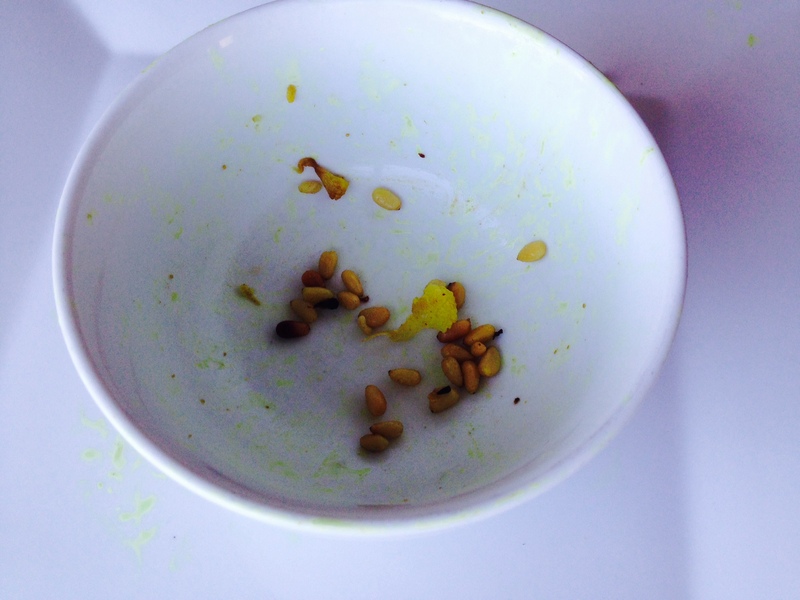 Transfer to a bowl and sprinkle with pine nuts. Do you like roasted cauliflower? what do you like to flavour it with?